A sheet of three photographs depicting three people viewing various paintings on easels placed on a hill beside a sidewalk in front of the Linney House on King Street. The Linney Law Office Building is visible in the background at left. 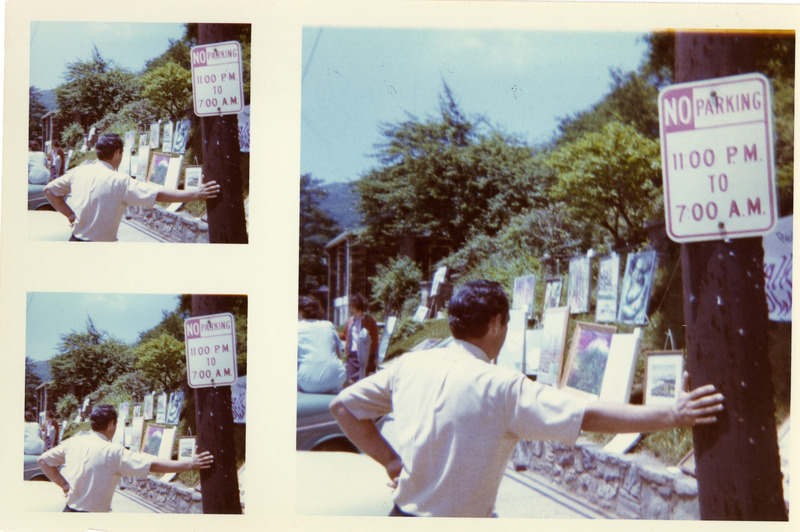 An inscription written on the back of the photograph reads: "Sidewalk Art Show, sponsored by NC Regional Gallery of Art." 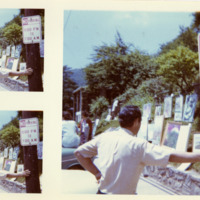 Unknown, “Sidewalk Art Show, Image 1,” Digital Watauga, accessed April 25, 2019, http://digitalwatauga.org/items/show/6824.